This article is 2870 days old. If so Windsor Police want to hear from you. They are investigating after a series of thefts were reported at Windsor Regional Hospital over a four-day period last week. 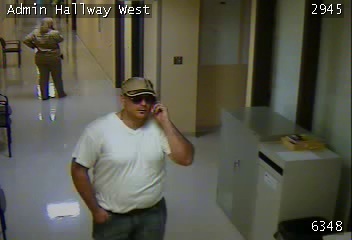 At 6:30 p.m. on Wednesday, June 8, 2011, uniformed officers attended Windsor Regional Hospital for a report of a theft of a laptop computer. Upon arrival, officers spoke with Hospital Security officers who advised that a laptop computer had been stolen from an office in the hospital between at approximately 3:00 p.m. on Wednesday and that the suspect had been captured on surveillance video. Windsor Police also received a report of a stolen purse from a locker area while the owner was receiving radiation treatment at Windsor Regional Hospital. This theft was determined to have occurred on Friday, June 10, 2011 between 10:15 – 10:30 a.m. The suspect responsible for this theft was not captured on surveillance video. On Saturday, June 11, 2011, a third theft was reported to the Windsor Police Service. Officers attended the gift shop located in the main lobby of Windsor Regional Hospital and learned that the gift shop clerk’s wallet had been stolen from a rear storage room in the gift shop at 1:30 p.m. The suspect in this theft was also captured on surveillance video leaving the shop with the wallet in his hand. A comparison of the two surveillance video images indicates that the same suspect is responsible for both thefts and police are investigating the possibility that the third theft is also connected. The suspect is described as a white male, 6’0″, 240 lbs, dark brown hair, wearing a white short-sleeved button down shirt, blue jeans, black shoes, a baseball cap and sunglasses. The suspect appears to walk with a slight limp. Anyone with any information regarding these thefts or the identity of the suspect is asked to call Windsor Police Investigations at 519-255-6700 ext 4830 or anonymously to Crime Stoppers at 519-258-TIPS (8477).